FREE SHIPPING! 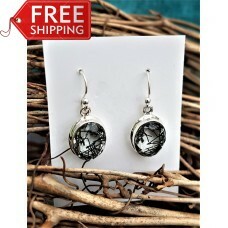 Stunning earrings comprising oval faceted tourmalinated quartz. This semi-precious stone is sometimes called rutilated quartz- the rutiles being the black needle like shaped crystals inside the quartz. 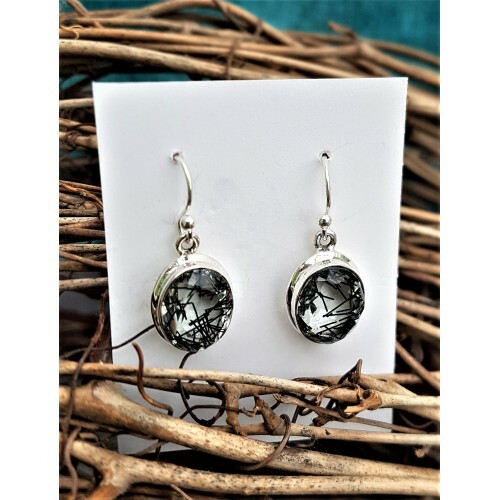 The quartz ovals measure 15 mm by 10 mm and will be sent in an organza gift bag. If you'd prefer a small gift box, there is an option for an extra charge of £2.50. Tags: stunning, tourmalinated, quartz, earrings, sterling, silver new, items, stock!